Update 7.10 landed in Fortnite Battle Royale this morning, and with it come some sweet bonuses for owners of the gingerbread skins. Merry Marauder and Ginger Gunner now have an Epic tier backbling in the form of a small gingerbread man called “Mini Marauder.” Both skins also received a handful of selectable styles. Their faces can be swapped to sport different expressions. 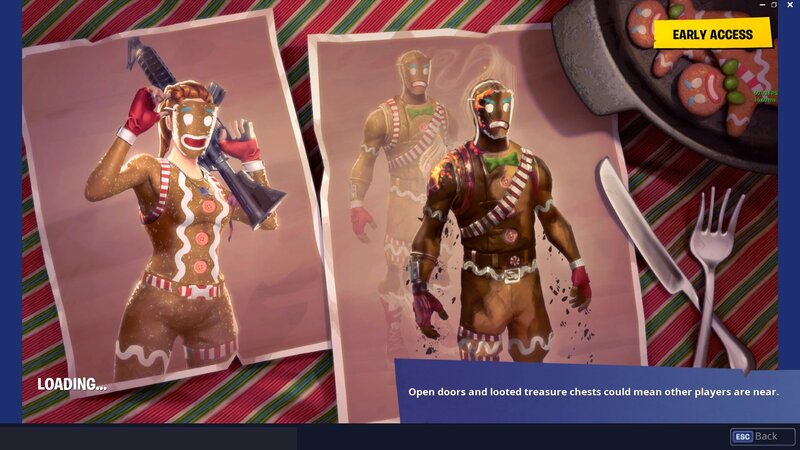 In addition, The gingerbread skins now have selectable styles that show them partially burnt with smoke emanating from their shoulder. The Crackshot, the nutcracker inspired skin also received a new backbling. Birdshot, who can be seen in the Fortnite Season 7 trailer can now accompany you into battle. This is pretty significant considering Crackshot was one of the only legendary skins that didn’t come with a matching backbling. Several winter and holiday themed skins have been making their way back into the item shop, however, neither of the gingerbread skins nor the Crackshot have made their return to the store yet. Therefore, the only players who can access these newly added perks are those who purchased the skins when they first made the rounds in the item shop a year ago. It’s likely that these skins will be available again within the next couple of days. Today’s 7.10 update added some other changes that can be read here. With the patch came a large batch of datamined information. The leaks posted to Fortnite Insider reveal brand new skins and other cosmetics that fit into the holiday theme of Season 7. One in particular even points to the entire map getting a snow-covered makeover. Be aware that all of the information in this link are leaks and have not been confirmed by Epic Games. If you’re a current owner of the Merry Marauder, Ginger Gunner, or Crackshot skins, jump in and claim your new reward! 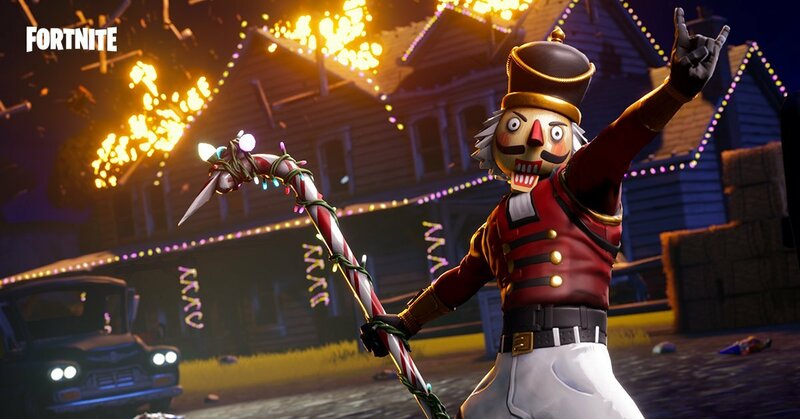 If you don’t have the gingerbread or Nutcracker themed skin, hold tight as they’ll probably be hitting the item shop in the near future. For all your battle royale needs, visit Shacknews’ Fortnite home page.